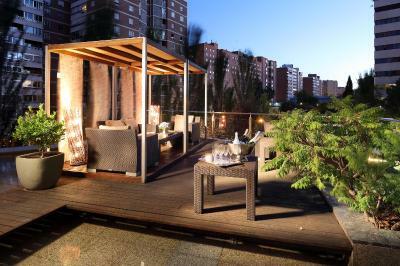 Lock in a great price for Eurostars Suites Mirasierra – rated 8.6 by recent guests! 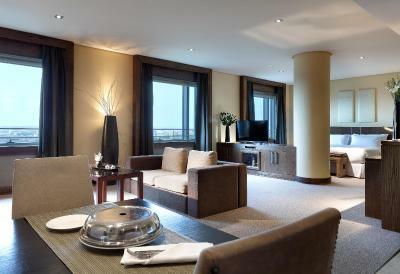 The hotel has large suites with good prices. Also good free private parking. We stayed there at a last minute due to change in our previous hotel cancelling at the Nth hour. They were very friendly and courteous and the staff was very helpful. The hotel does not have a good vegetarian menu though. Helpful and friendly staff, free parking at the hotel garage. Unfortunately I didn’t get the chance to use the spa but I assume it’s good. The sfaff is super friendly, offered a late check out when I was speaking with my partner about what would we do next day so we have extra time to enjoy the pool in the morning. The rooms are very good and clean. 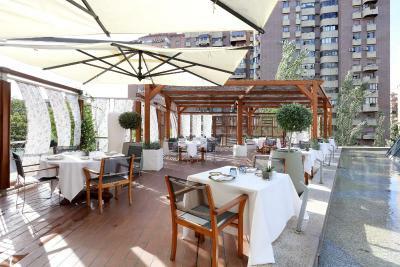 The outside areas are clean and very good. Close to the city and airport. Free parking. Staff was great. 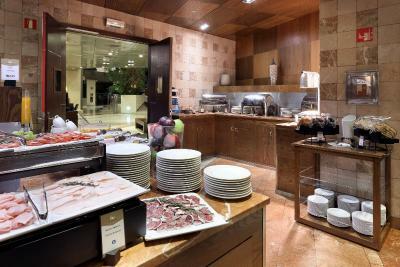 Buffet breakfast is too expensive for a family of 8 and for what they serve. 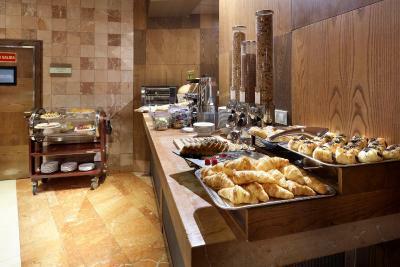 For the price of the hotel, they should include breakfast for free. Very clean , friendly staff , good location and near to big shopping center . Metro station ( line 9) is near by walk . 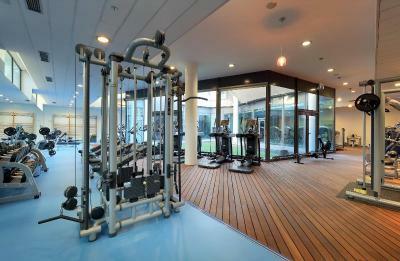 Sweeming pool and gym is very good . Excellent location. Super nice staff Big and clean suite. Great experience!!! 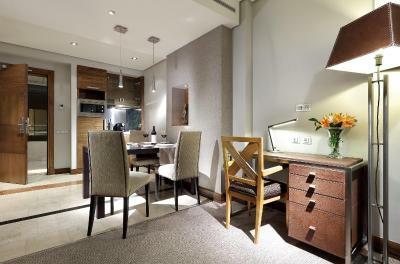 Eurostars Suites Mirasierra This rating is a reflection of how the property compares to the industry standard when it comes to price, facilities and services available. It's based on a self-evaluation by the property. Use this rating to help choose your stay! 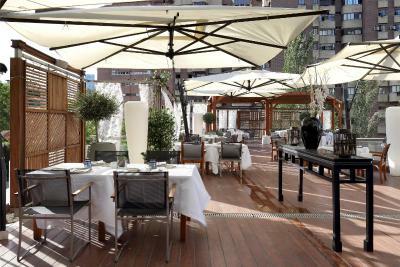 One of our top picks in Madrid.Featuring a spa on site, Eurostars Suites Mirasierra is located in Madrid, 5.6 mi from the city center, and 7.5 mi from Barajas Airport. This hotel offers free WiFi and free parking. 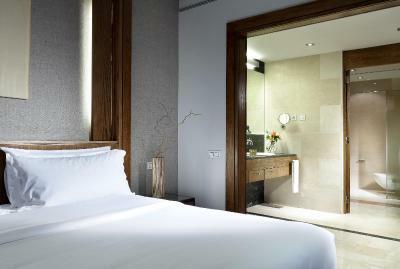 This modern design hotel offers spacious suites, with plenty of natural light and interactive LCD TV. 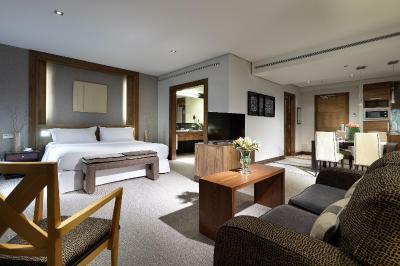 All air-conditioned rooms have a lounge area with a sofa. There is a dressing room, and bathroom with hairdryer, bathrobe and slippers. 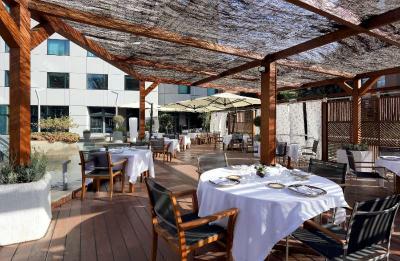 The hotel also has a gourmet restaurant, a snack bar and a cocktail bar. Room service is available. There is a tour desk, and you can hire a car at the hotel. Herrera Oria Metro Station is 1,950 feet away. 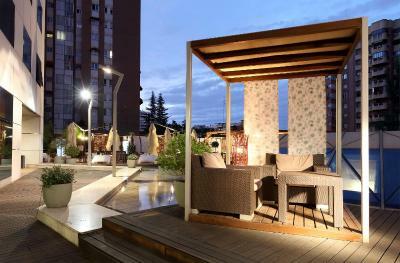 When would you like to stay at Eurostars Suites Mirasierra? 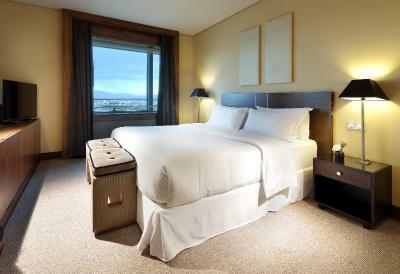 Spacious suite with views of the city or the mountain range. Includes a bedroom and lounge with a flat-screen TV and a walk-in closet. The private bathroom comes with a separate bath and shower. 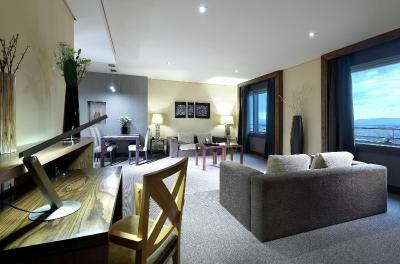 Spacious suite on the top floor of the hotel. 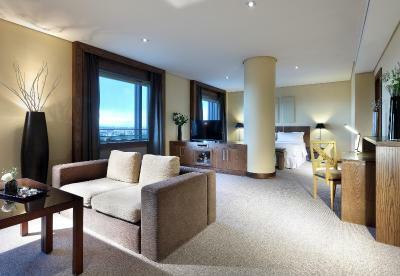 This suite includes free Wi-Fi and free parking. 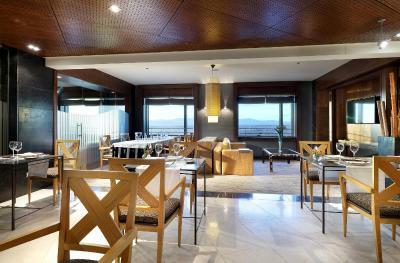 This Suite also has a separate seating and dining area, as well as large windows with mountain views. The marble bathroom has a shower and bath. 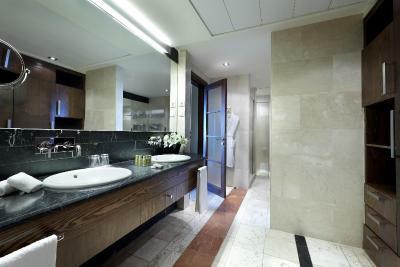 The Premium Suite features a bathroom in marble with a hot tub. 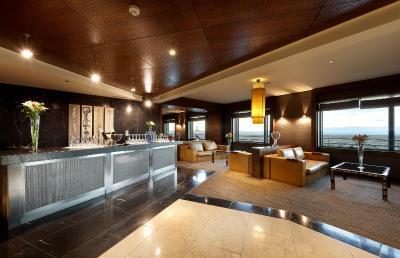 They have complimentary mineral water, a coffee maker, and parking. Internet access is provided free of charge. This triple room has a microwave, soundproofing and bathrobe. 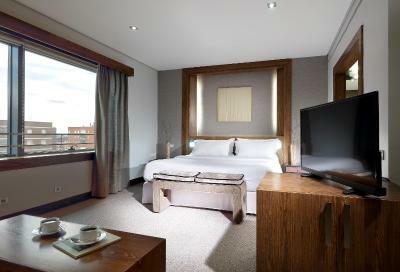 This triple room features a microwave, soundproofing and mini-bar. 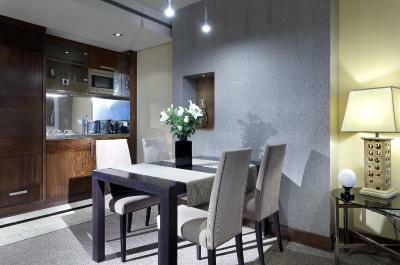 This quadruple room has a mini-bar, soundproofing and seating area. 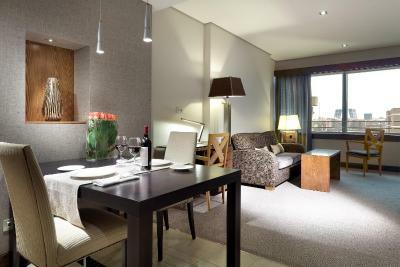 This quadruple room features a satellite TV, microwave and air conditioning. 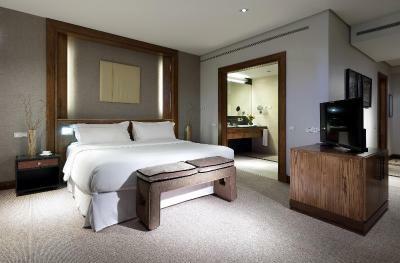 This double room features a seating area, soundproofing and air conditioning. 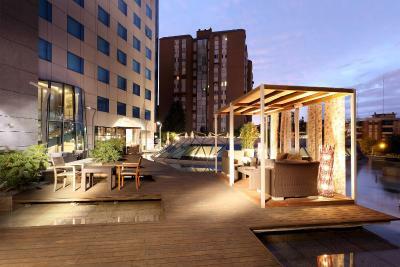 Eurostars Suites Mirasierra is the ideal hotel in Madrid for business or leisure stays,. 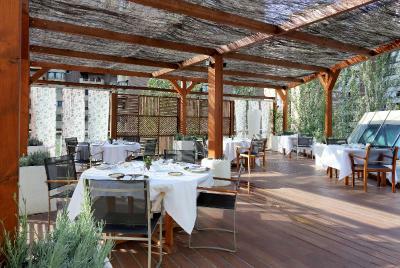 House Rules Eurostars Suites Mirasierra takes special requests – add in the next step! 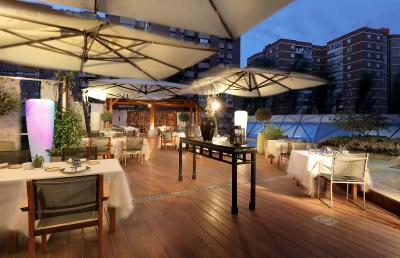 Eurostars Suites Mirasierra accepts these cards and reserves the right to temporarily hold an amount prior to arrival. 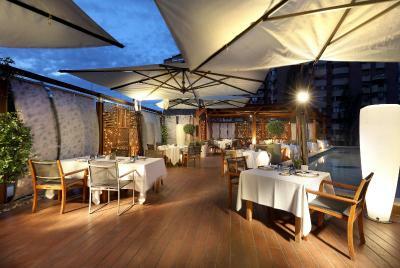 The hotel has 4 rooms specially adapted for disabled guests, as well as special parking places. Please note, guests under 16 years are not allowed in the spa. 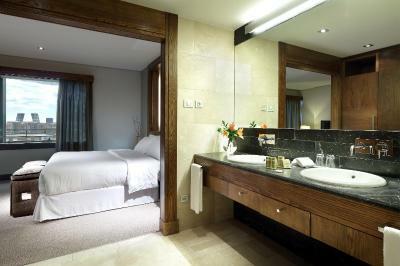 Access to the spa carries a surcharge, and must be booked in advance. A swimming cap, flip flops, and swim suit are mandatory. 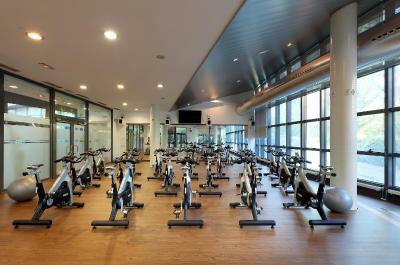 The spa and fitness center are only available for guests aged 16 or older. Children between 16 and 18 years old must be accompanied by an adult. 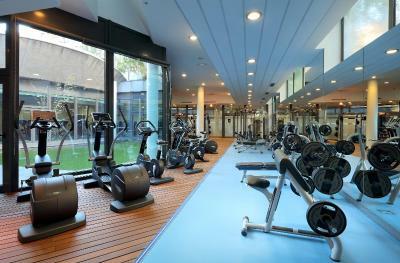 The fitness center is free and exclusive for hotel guests. Opening hours are from 07:30 to 22:00. Please note that due to maintenance works, the spa will be closed from 28 January until 28 February, 2019. The breakfast was expensive wi did not have hair conditioner for a 5 start hotel neither soap!! The pool was closed which was the only reason we stayed a bit far from the center. The room had everything I needed and good room service. Nice and quiet so I had a good nights sleep. 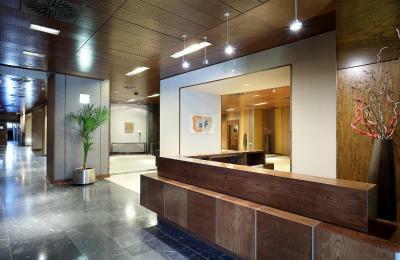 The staff was really helpful, atentive and they made our time there great. They were 5 stars plus, thank you. 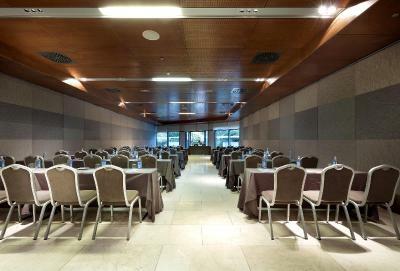 The room is very big! The bed was not king size. It was two single beds combined with wheels so it get apart easly. it is outside madrid. for work is execllent. 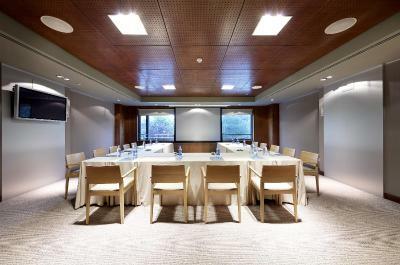 large rooms, all facilities. The service is on point. Rooms clean and very big. 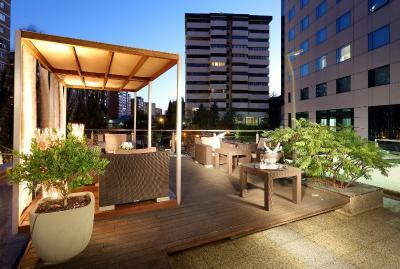 The price is really cheap compared to other hotels and this hotel includes parking that comes very handy in Madrid. 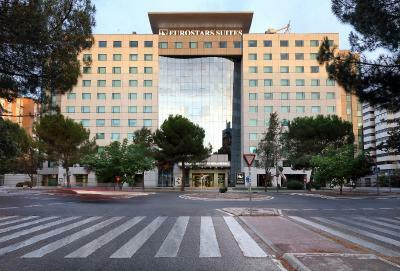 The location of this hotel is kind of far from the center but if you are in Madrid for buisness i recomend this hotel. Mr Danial in the reception is a very nice gentleman and very helpful, if you have a car then book this hotel, also there is a near by metro station.